Bitcoin is “the most durable currency for a nuclear war,” cryptocurrency pioneer Charlie Shrem infamously declared on January 23. His statement was met online with a predictable flurry of criticism and scepticism, yet it raised an interesting question: what could realistically destroy Bitcoin, given that it has never gone offline or been hacked since its birth ten years ago? Well, as the following interviews will show, Bitcoin faces a number of potential threats, including the possibility of a government-led 51% attack. However, while these and other existential dangers are possible, they aren’t particularly likely. The 51% attack has now entered folklore as perhaps the most damaging threat Bitcoin (or any other proof of work cryptocurrency) could face. And as Prof. Matthew Green of John Hopkins University tells Cryptonews.com, such an attack could potentially be spearheaded by the US or Chinese government, especially given that most of Bitcoin’s hashing power is based in China. Green doesn’t regard a 51% attack on Bitcoin as especially likely though, due to the enormous expense involved. That said, Nicholas Weaver from the University of California at Berkeley points out that this expense is actually decreasing. Nonetheless, while both Weaver and Green agree that there’s technically nothing getting in the way of a government takeover or 51% attack, they also concur that there’s little rationale for one at the moment. More mundanely, there’s the possibility that, somewhere down the line, Bitcoin will simply be usurped by other coins. 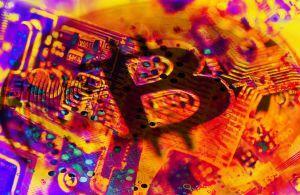 Green suspects that as the industry develops, and as the public comes to use cryptocurrencies more and expect more from them, Bitcoin may just hit a wall of scalability. Another possibility: a member of the FAANG (Facebook, Amazon, Apple, Netflix, Google) club will launch its own cryptocurrency, which will somehow be more useful than Bitcoin. The above three threats are perhaps the most notable that Bitcoin currently faces, yet there are others. And lastly, there’s simply the possibility of a general market crash and loss of public interest, coupled with the prosecution of the people behind various exchanges (and currencies). “Cut off the banking from the remaining exchanges, throw the people <…> in jail for violating money laundering laws, and so much of that house of cards will finish collapsing because there is no way to effectively trade,” says Nicholas Weaver. However, as governments are working on crypto-related regulation and more industry players are seeking to become compliant, this scenario might become even less probable over time. In either case, it’s anyone’s guess how the whole crypto industry will evolve.